The first Lallantop Show at Agra a hugehit! New Delhi, 9th February, 2017—After making a mark in the digital world of news &media, TheLallantop.com has partnered with Facebook to cover UP Assembly Elections exclusively for the first time in India. 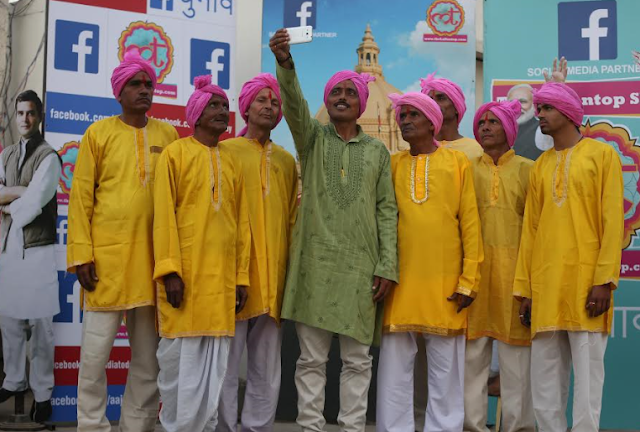 This initiative is seeing social media and technology giving colour to the colloquial conversations around elections from the heartland of Uttar Pradesh. And, the grand success of the first ‘Lallantop Show’ at Agra on 8th February, 2017 says it all. Through this partnership with Facebook, TheLallantop.com is doing interactive on groundshows in cities across Uttar Pradesh. 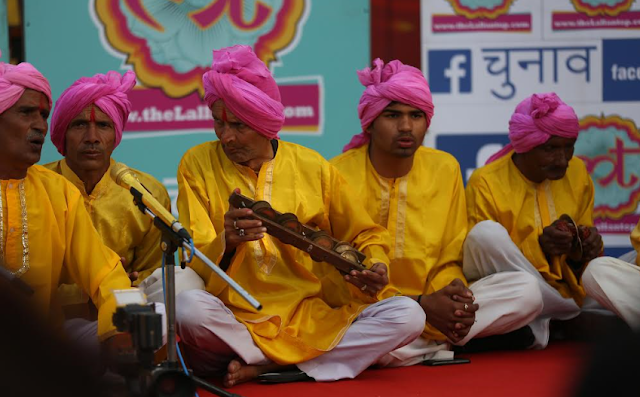 No standalone news website—Hindi or English— has ever done on-ground events like The Lallantop Show, and that too, in 5 cities—the show has already been a hit in Agra, the next show will be in Bareilly on 11th February, Lucknow on 16th February, Gorakhpur on 26th February and Varanasi on 5th March. The show will starts at 5pm and will have 4 sessions per city. Each session will have different talk shows such as music party, political tales, importance of voting, people manifesto etc. Celebrities will also be participating in the TheLallantop Shows and their presence will, no doubt, add zeal to the event. TheLallantop.com is doing a special line-up for the elections by engaging 2 co-branded vehicles—Heera&Moti which are dividedinto 2 teams covering entire Uttar Pradesh during upcoming Assembly Elections.The team is doing Unique Election Stories from at least 300 Assembly seatsand detailed ground reports from 72 districts of UP in two chariots. The first team left from Noida on 27th January and will cover Baghpat, Saharanpur, Meerut, Moradabad, Bareilly, Lucknow and Gorakhpur. The other team also left from the same place on the same day to Bulandshahr, Aligarh, Mathura, Agra Banda, Allahabad and Varanasi. The seven-phase election team will be on the ground for 40 days continuously. Both teams, Heera&Moti, will go LIVE on Facebook every day. Facebook LIVE will connect with people through TheLallantop.com. In addition, various social activities will be done by Heera&Moti team and quiz, contests, competitions will keep happening to increase engagement with audience. ü For the first time, a standalone news website (Hindi or English) is doing on-ground events and that too, in 5 cities. ü First the first time, a standalone news website will go from Assembly No. 1 (Behat- District Saharanpur) to No. 403 (Dudhi-District Sonbhadr). ü For the first time, a standalone newswebsite will go LIVE on Facebook from farms, shops, markets, colleges etc., which will be shared on Facebook India Page too. ü For the first time, the largest social networking site Facebook ties up with a standalone news website. The Lallantop is a new edge Hindi website (version 2.0) which has been developed keeping in mind the millennial crowd. The content of the site is unique and original which is not available on any other website. The website talks about everything in detail and with a new angle which is in the interest of the youngsters. From Politics, Sports, Cinema to Humor and History, ‘theLallantop.com’ has it all.